"Authentic" is a word I try to avoid. I'm just not convinced it means an awful lot. Too often, it's thrown about by one-upping blowhards trying to bolster their own credibility ("I spent a weekend in Cabo so I know all about 'authentic' Mexican tacos."). Even for those with more serious intentions, the definition of "authenticity" is elusive, for reasons I've kicked around before. The executive summary: "So many cuisines, even in their 'native' forms, are capable of so many infinite variations, and so many 'traditional' dishes are actually themselves the result of historical cross-cultural mash-ups that would today go by the sobriquet of 'fusion' dishes, that labeling any one particular iteration as 'authentic' is a fool's errand." "Delicious" is another word I try to avoid. Like "authentic," I'm just not convinced it means much. Unlike "authentic," everyone knows the definition: "this food is good." But it doesn't tell you what is good about it, or why it's good. That unfocused vagueness is why "delicious" is on many food writers' (and editors') lists of banned words. 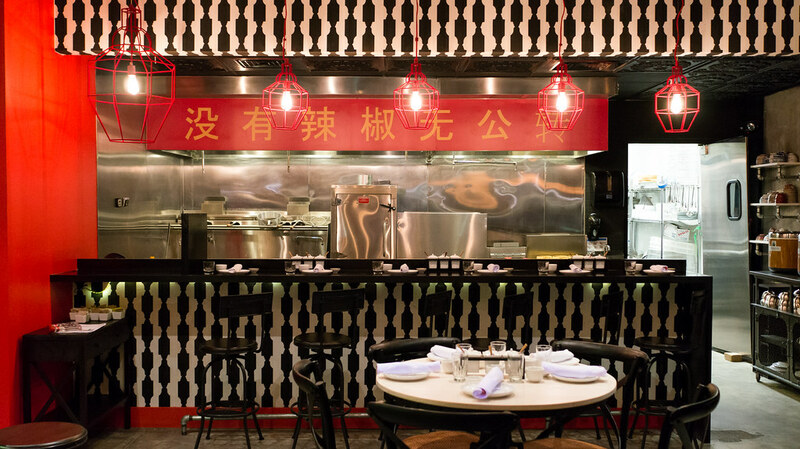 I'm not going to tell you the food at BlackBrick, Richard Hales' new Chinese restaurant in Midtown Miami, is "authentic." But I will tell you it is "delicious." And I'll do my best to tell you why. 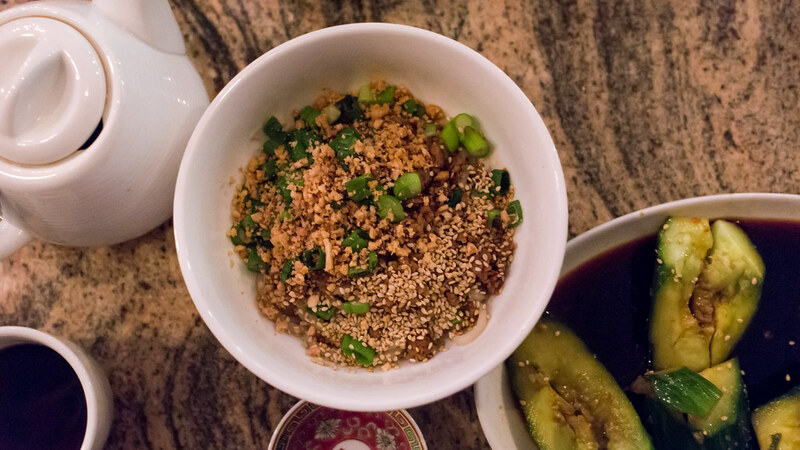 Miami has long been a Chinese food desert. For decades, the Canton chain – a paradigm of mediocrity – somehow managed to be the standard-bearer. 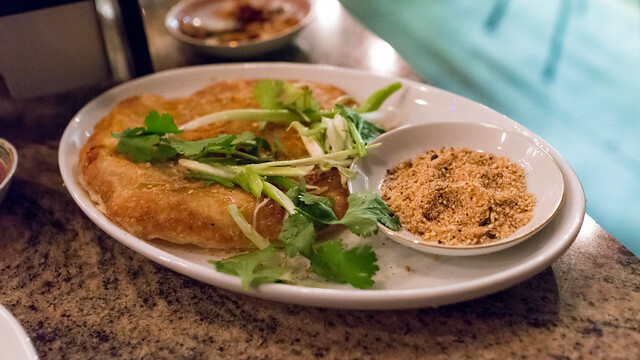 Tropical Chinese stands out, but only as a big fish in a little pond. Hakkasan offers a much more refined experience, and their dim sum is excellent, but the price to value (and excitement) ratio of most of the rest of the Hakkasan experience is out of whack. A host of other contenders – Chef Philip Ho, Chu's Kitchen – come and go, with all the stability of Miley Cyrus. Unlike West Coast meccas like Los Angeles, the Bay Area and Vancouver, we seem to lack the populations to support a thriving Chinese restaurant market. 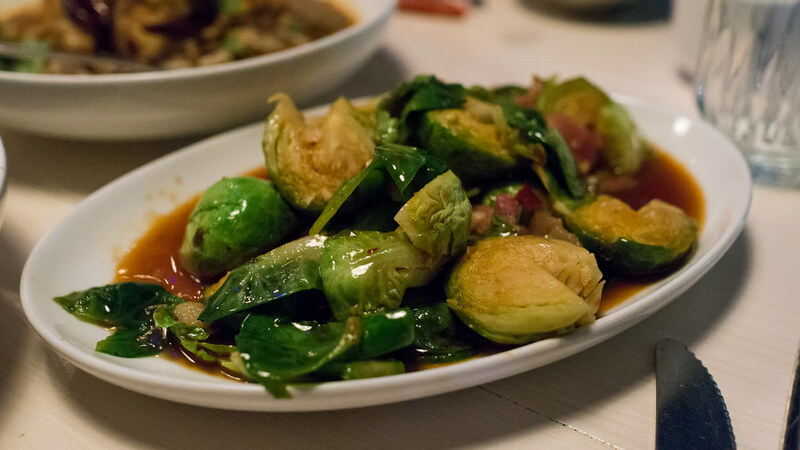 And the waves of hyper-regional Chinese restaurants that New York has enjoyed – Sichuan, Shaanxi, Dongbei, Hunan, Yunnan and more, in addition to the more ubiquitous Cantonese – never really made their way here. (You can see all my pictures in this BlackBrick - Midtown Miami flickr set). 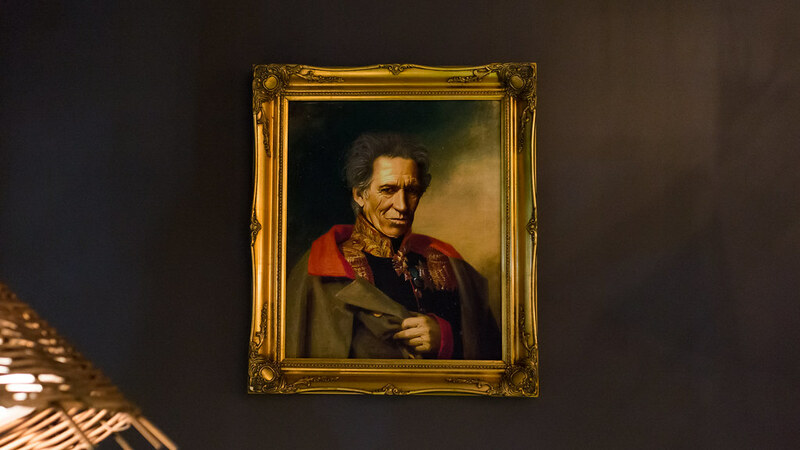 I suspect Richard Hales felt much the same way. And whether because he saw a market opportunity, or just pined to eat better Chinese food and found nobody else making it, he decided to do what he could to change it. BlackBrick, a self-described "passion project," is the result. Hales' first project as chef/owner was the fast-casual, pan-Asian Sakaya Kitchen, which opened about four years ago. Serving pork buns and Korean chicken wings may not have been an entirely original notion, but Sakaya distinguished itself by focusing on quality ingredients (local and organic whenever possible), fresh preparations, and bold flavors, especially the smoky heat of Korean kochujang that weaves through several dishes. 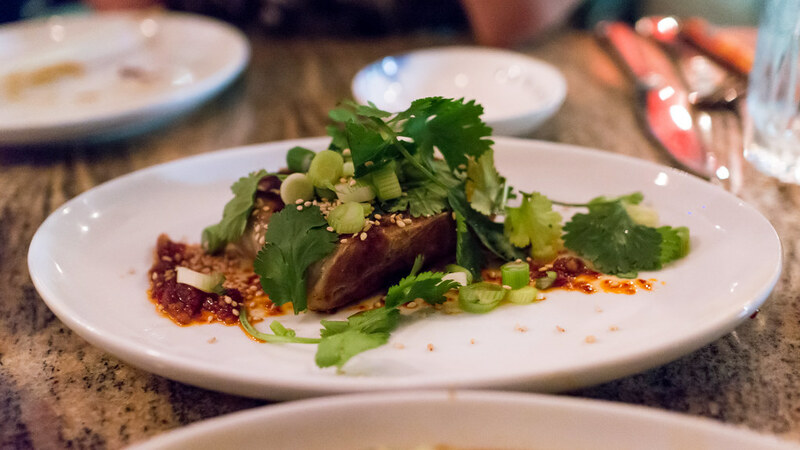 BlackBrick in some ways follows a similar model, though the service is sit-down style, and the flavor profiles look to China's Sichuan province, among other places, for spicy inspiration. 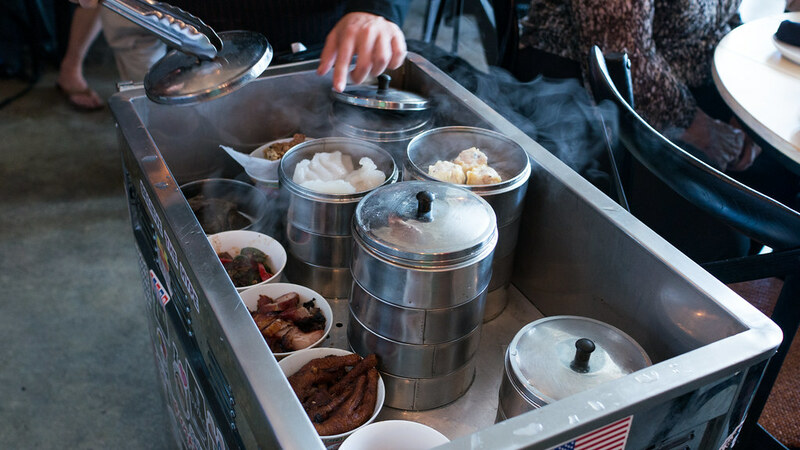 Indeed, if you grab a spot at the counter in front of the open kitchen, you may periodically be inundated by billowing clouds of chili-infused smoke emanating from the wok station. 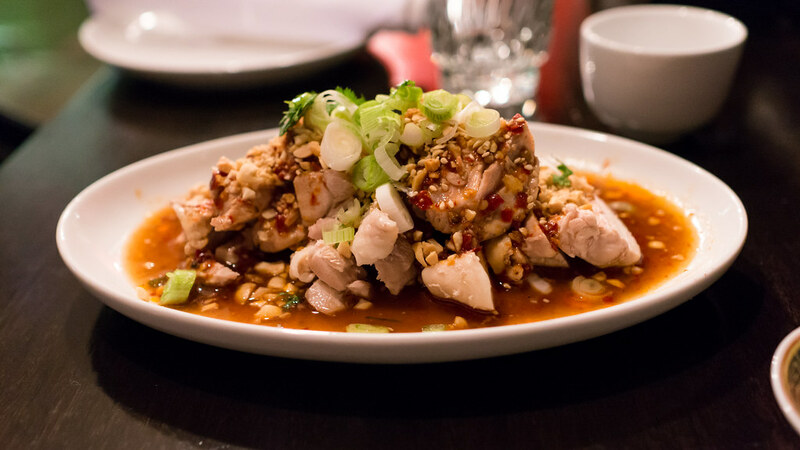 You can start with something simple and invigorating, like these chicken thighs doused in a spicy chili oil and Chinkiang vinegar, then showered with slivered green onions, cilantro, peanuts and sesame seeds. The poached chicken is served cold with its slippery skin intact, the mild, tender meat a foil for the double dose of spice and sour from the chili oil and black rice vinegar. "Ma La." These are two more words you're going to want to know. They mean "numbing" and "hot," and their combination – in the form of Sichuan peppercorn (which causes a tingly, numbing sensation) and dried chilies – produces a compulsively tasty, "hurts so good" reaction. 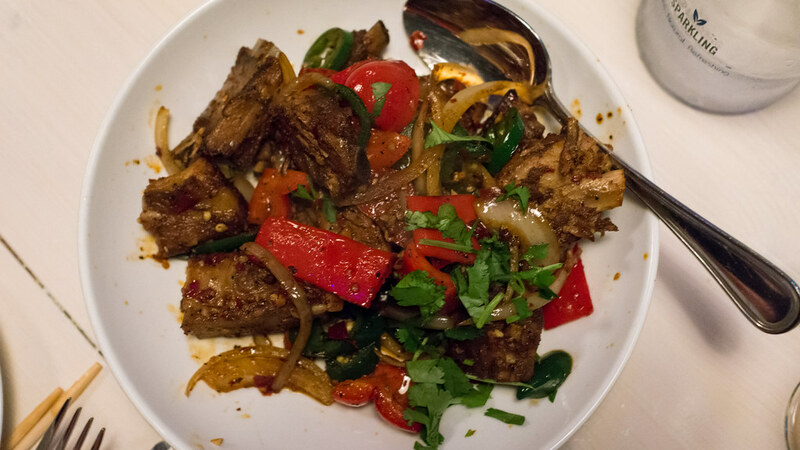 It's what makes BlackBrick's "Numbing and Hot Chinese Spare Ribs" so flavorful, the meaty riblets served crusted with dry spice along with wok-sauteed onions, jalapeños and bell peppers. I don't typically associate Chinese food with bread-making, but BlackBrick proves me wrong. 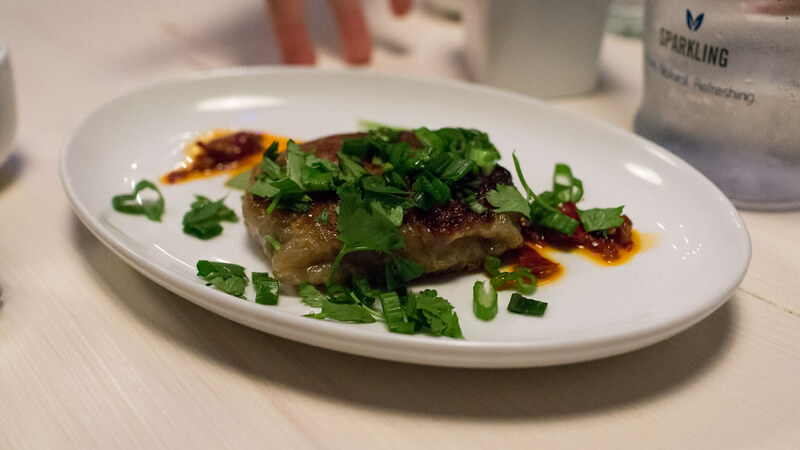 From a corner of the menu titled "Daily Chinese Bread," I've had rich, chewy "Laobing," an unleavened flatbread, stuffed with salty-sweet char siu pork on one occasion, and Dongbei-style lamb tongue, redolent with cumin and chili, on another. I've also had delightfully greasy "Roti Prata," simultaneously flaky and elastic, served with "housemade MSG" for dipping. If your tastes run less exotic, you still won't go hungry. Even something as pedestrian as an egg roll gets some special treatment; here, a thick, smooth pumpkin sweet and sour sauce instead of the usual jammy glop. Crispy fried chicken and garlic dumplings are drizzled with a lighter, thinner sauce that is actually both sweet and sour instead of just the former, as is typically the case. 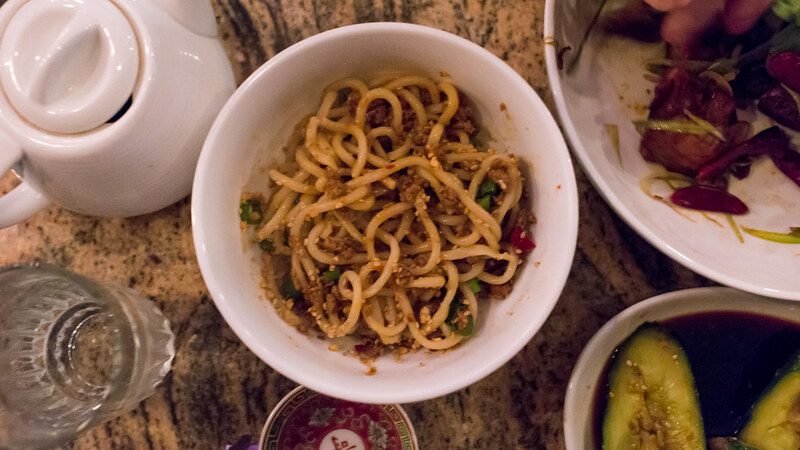 For the classic Sichuan noodle dish, Dan Dan Mien, BlackBrick makes its own noodles in house, which are covered in a thick blanket of minced Berkshire pork, sesame paste, Sichuan pepper, crushed peanuts and toasted sesame seeds. Simultaneously meaty, creamy, nutty and spicy, this is a great dish – like a spaghetti bolognese from a parallel universe. 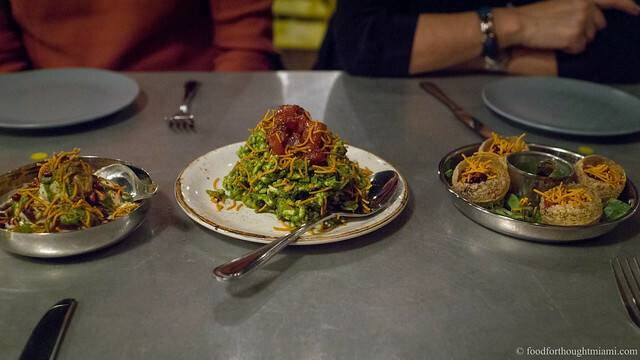 Even exciting restaurants sometimes get bogged down when it comes to the entrées. 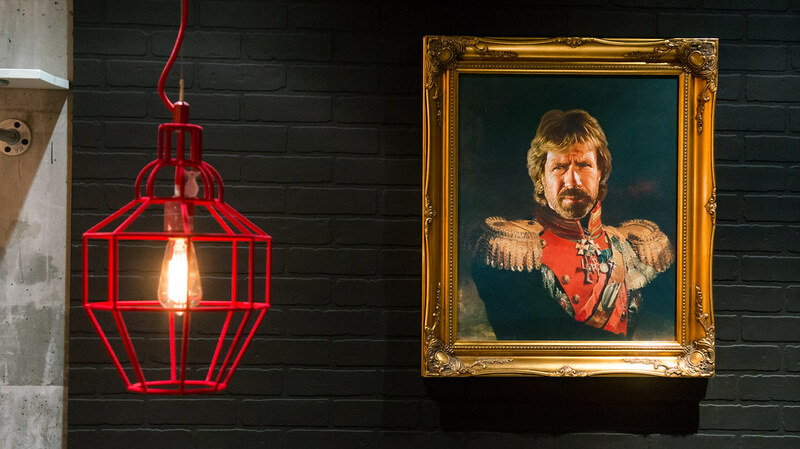 I've not found that to be the case at BlackBrick, where the flavors are equally bold for the main courses as they are for the starters. 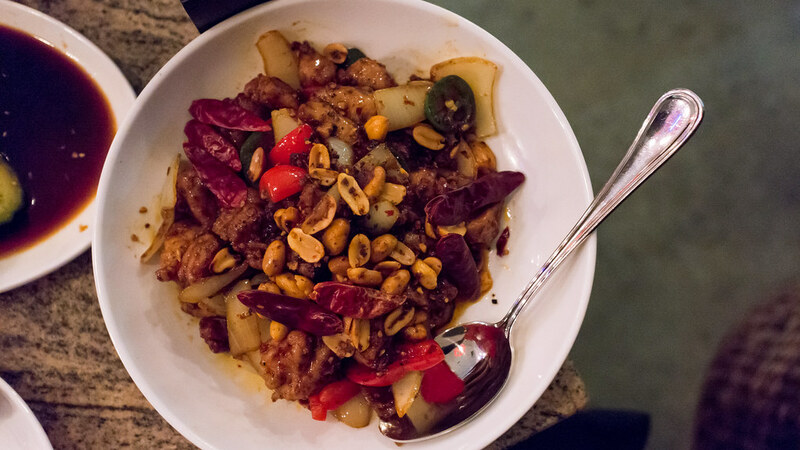 For something more interesting than the typical generic kung pao chicken, try BlackBrick's Gong Bao Rabbit – the "other, other white meat" every bit as tender as chicken but a bit more characterful, in a stir fry laden with fresh and dried chilies, onions, jalapeño and bell peppers, and crunchy, spicy peanuts. 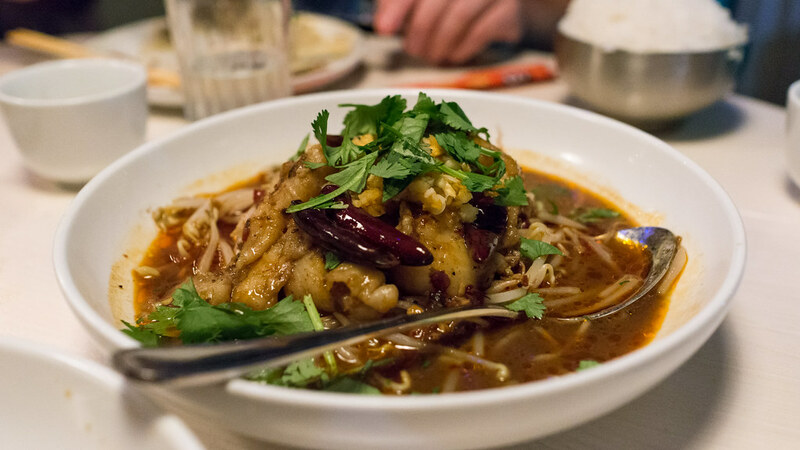 Fresh local corvina, a mild white fish, comes swimming in a brick red, chili-laden "shiuzhu" broth, with creamy soft tofu for some extra substance. 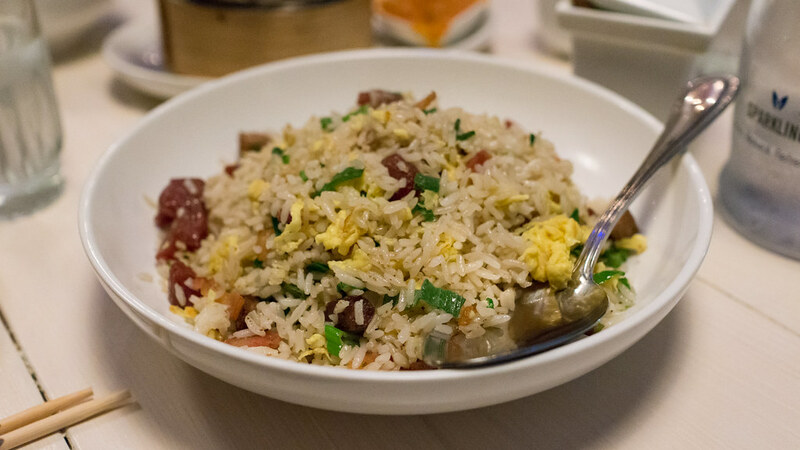 Yeung Chow fried rice comes with some of my favorite things – bits of roast duck, Duroc bacon, sweet lap cheong sausage, fluffy egg and chopped scallions. Other options include a Mala Duck tossed with flower sprouts (a/k/a "brussel-kale") and more of those numbing hot spices, General Tso's Florida Gator (the other, other, other white meat), or more typical dishes like Peking "Shaoyazi" Duck and Shrimp in Lobster Sauce. 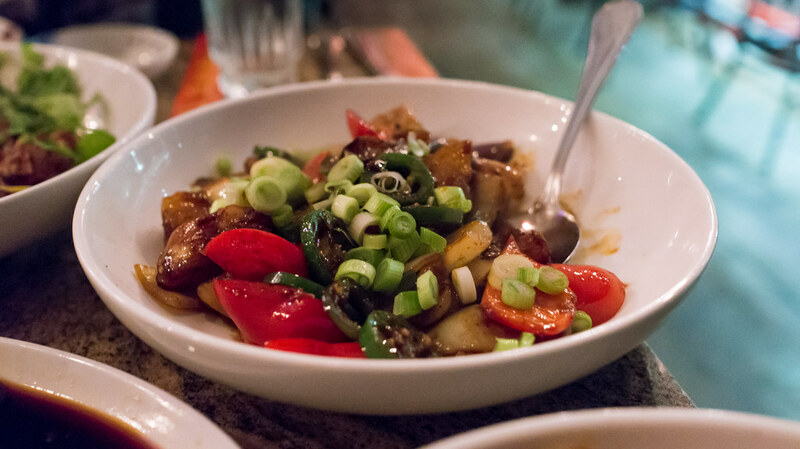 "Three Treasures," a/k/a Di San Xian, is a Dongbei dish featuring the unlikely combination of potatoes, eggplant and bell peppers. Stir-fried with garlic and ginger and bound in a simple sauce, this makes for a hearty vegetarian dish. 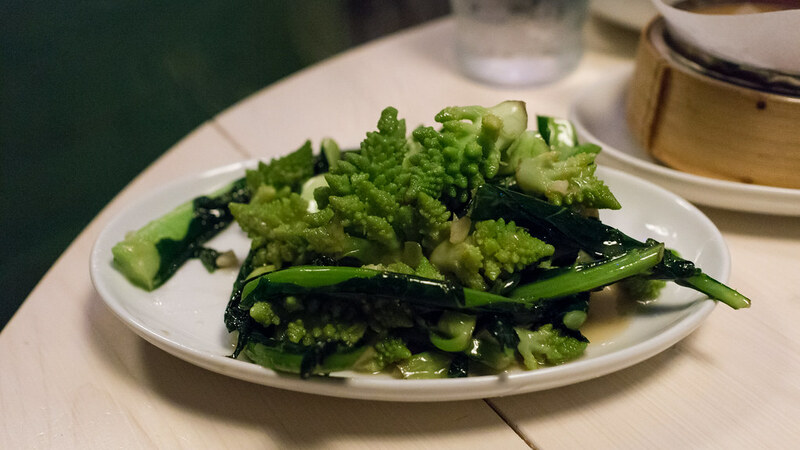 And vegetables here are no mere afterthought: they're always snappy and fresh, as often as not local, and pretty consistently delicious, like Witt Road Farm romanesco veronica with sorrel and ginger, or Swank Farm brussel sprouts with Duroc bacon. 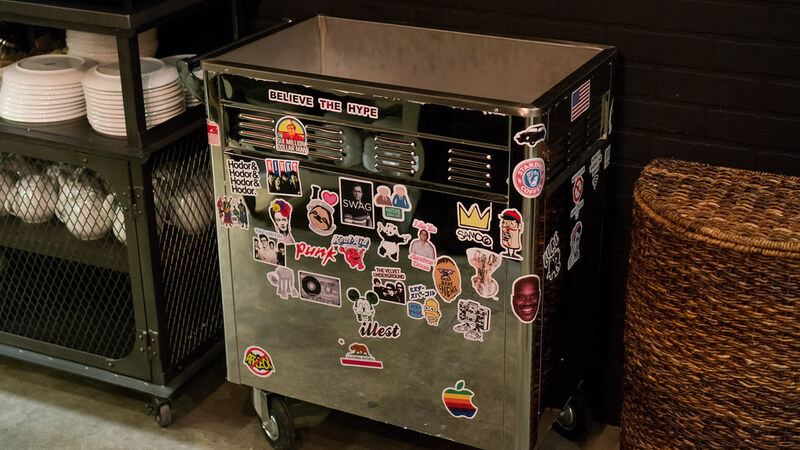 The day BlackBrick opened, a gleaming chrome dim sum cart, souped up with all sorts of stickers, was parked in one corner. 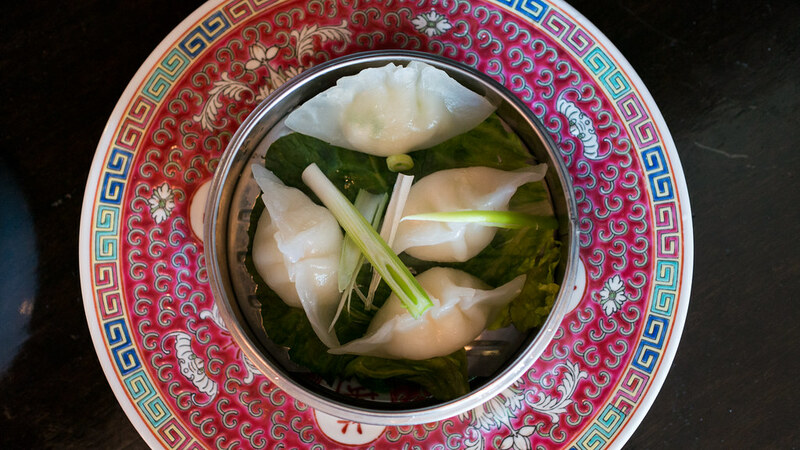 It took a while to get rolling, but after a few months, a weekend dim sum service was unveiled. 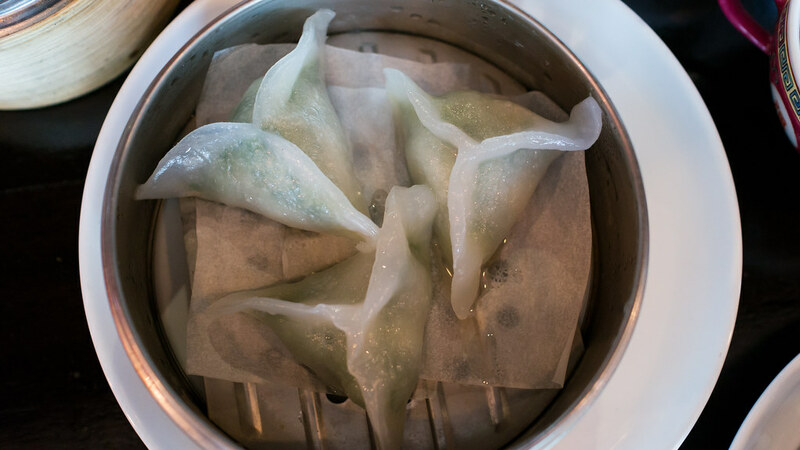 I was excited but wary: dim sum is delicate, finicky stuff, very tricky to get right. Could they really pull it off? So far the results have exceeded my most optimistic expectations. 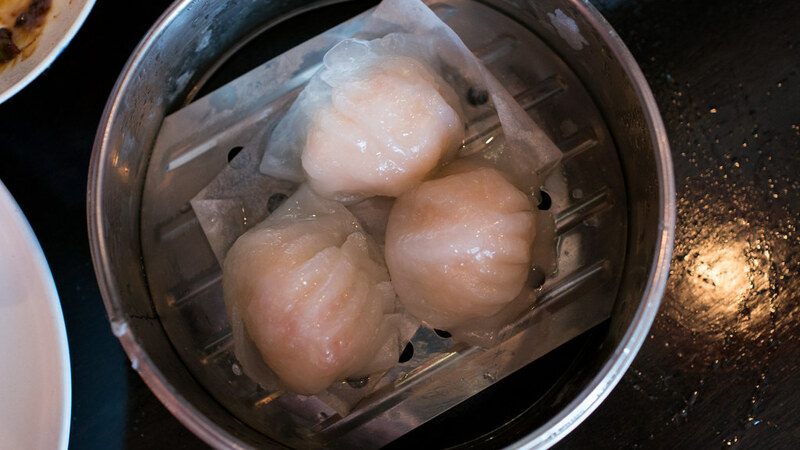 The Har Gow (steamed shrimp dumplings) are possibly the best I've ever had, a diaphanous casing around a mound of juicy, sweet Laughing Bird shrimp. 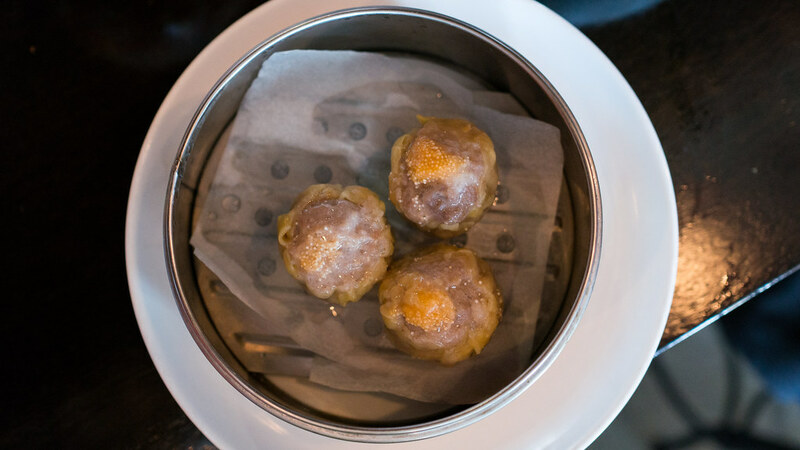 The Siu Mai, filled with Kurobota pork and topped with fish roe, are plump and succulent. Thicker, translucent white triangles enshroud a filling of chopped shrimp and chive, both bursting with flavor. 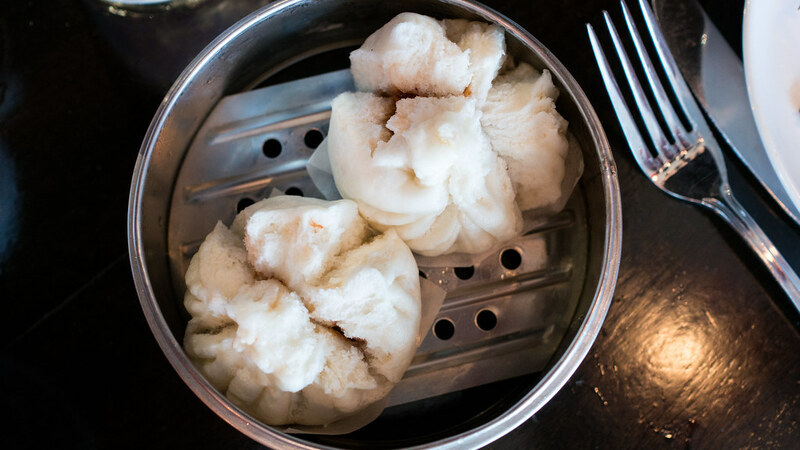 BlackBrick's Char Siu Bao are dense, doughy balls erupting with sticky sweet roasted pork. 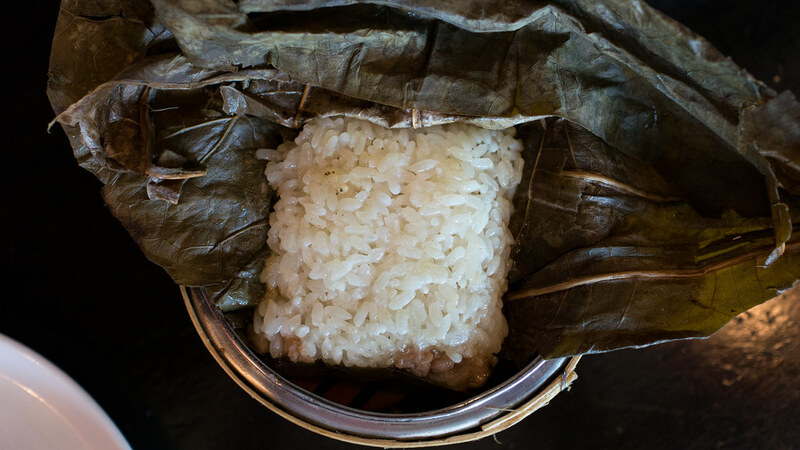 A lotus leaf wrapper conceals a block of chewy glutinous rice, enriched with meaty chicken thigh meat and Chinese lap cheong sausage. 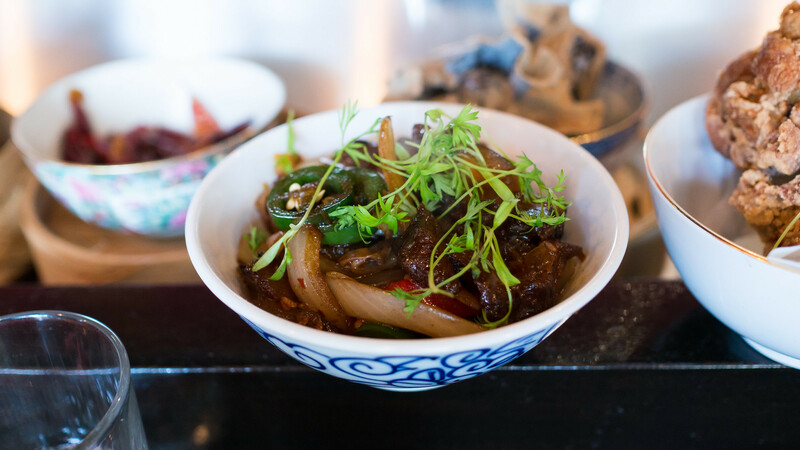 A dish of Sichuan Beef Tendon with caramelized soy and burnt chili oil is all gelatinous, spicy goodness. Though not all items are at the same level – the Xiao Long Bao, or soup dumplings, are still a work in progress, though I'm grateful even for the attempt – and the selection is not nearly as broad as some other places, I will say it now: I think this is currently the best dim sum to be had in Miami. Though it may not rise to the artistry of Hakkasan, it is infinitely more accessible, and there is nowhere else that offers the same combination of high-quality ingredients and execution. Even more recently, the dim sum cart's been temporarily parked again while BlackBrick rolls out still another brunch menu, this one with more of an East-meets-West tilt (all the weekend dim sum items are still available from a checklist). 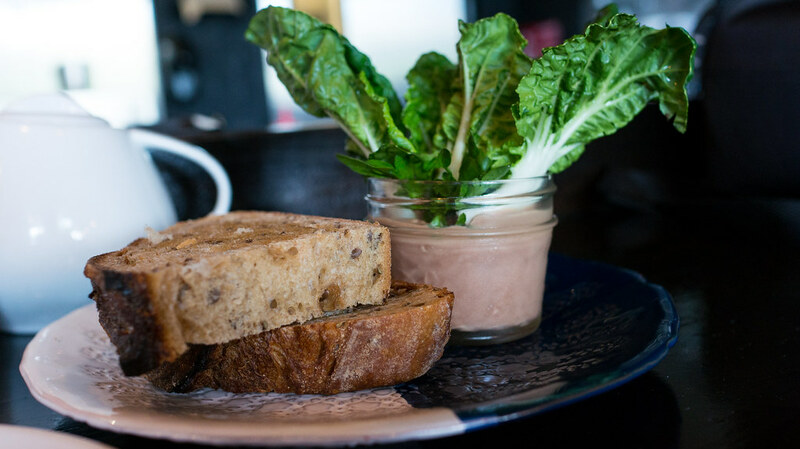 That means things like "The General's Chicken Liver," served with fat slices of Zak the Baker rye bread and leaves of raw baby bok choy for scooping (a vehicle that makes the rich, creamy mousse seem almost virtuous). 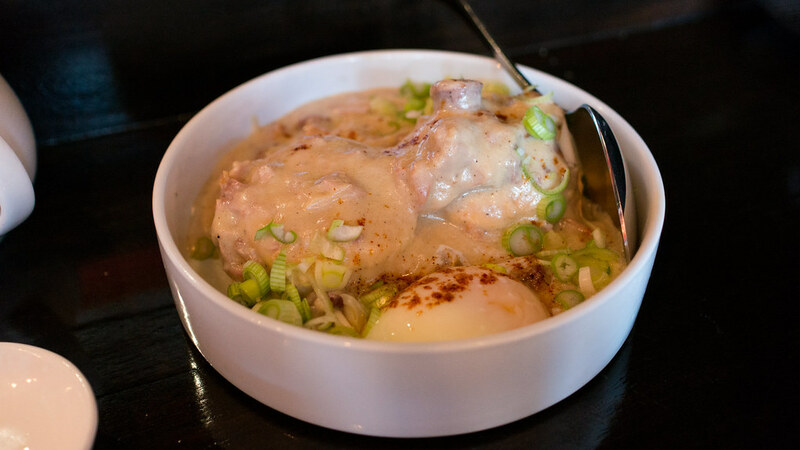 Or a dish that I have a profound weakness for, biscuits and gravy, done with chunks of sweet, liver-y Chinese duck sausage and topped with a soft egg. Or silky steamed lobster dumplings, served with a fenugreek and ginger infused drawn butter for dipping. Also: Parker House rolls with char siu pork; a laobing "Hot Pocket" stuffed with bacon, eggs and cheese; "Breakfast Fried Rice" with scrambled eggs, sausage and potatoes; "Shrimp & Grits" composed of a cornmeal "congee" with mala shrimp, bacon and a poached egg; Chinese fried chicken with a fortune cookie waffle; and more. Desserts are rarely a high point in Chinese restaurants, but BlackBrick's selection, while modest, is solid: "Wife Hales'" fortune cookies, like big crispy waffles, are about 100x better than the typical plastic-wrapped models (they also come with much more pointed fortunes, like "Laugh alone and the world thinks you're an idiot.") Ice creams come by way of the local shop Azucar Ice Cream, and include flavors like "Abuela Maria" (with guava paste and Maria cookies), Chinese almond cookie, and peanut butter studded with toasted coconut and spiked with sriracha. A full bar, featuring a few specialty cocktails as well as beers from local producers Wynwood Brewing Co. and Funky Buddha, plus a selection of teas that ranges from Lipton baggies to 20-year aged Yunnan pu-erh, rounds out the experience. If you've been reading here a while, you've surely recognized that the pace at which I write about local restaurants has slowed. 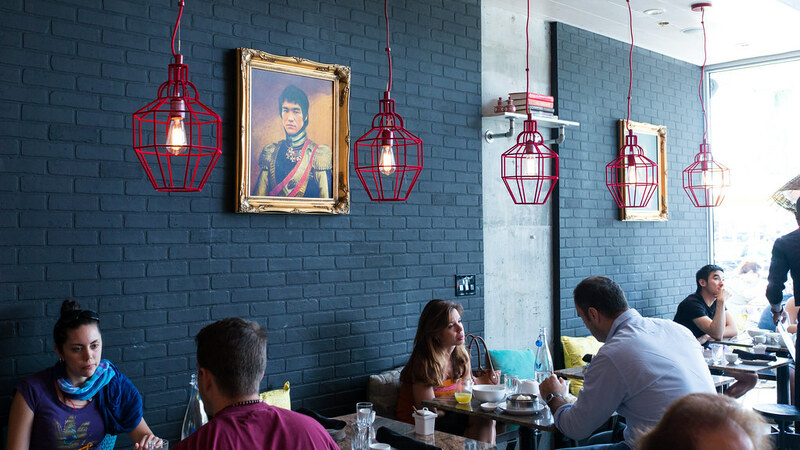 There are a number of factors that contribute to that decline – inertia probably being the most significant – but it's partly because I prefer to write about restaurants that genuinely excite me. BlackBrick definitely falls into that category. BlackBrick is doing a lot of different things. It's also doing them incredibly well. "Authentic?" I have no idea, and don't really care. Because I know this is delicious stuff, and you're not likely to find much else like it anywhere in Miami. Full disclosure: I've been a frequent customer at Richard Hales' first restaurant, Sakaya Kitchen, since it opened about four years ago, we've done a couple Cobaya dinners together, and so it's difficult for me to get in and out of BlackBrick without being spotted, at which point Richard usually sends over so much food that I think he's trying to see if I explode. Still I've had at least one meal at BlackBrick while Richard wasn't there which was every bit as good as my other visits. A couple years ago Richard did a pilgrimage through China, Korea and Japan, working in as many kitchens as would let him in along the way. When he opened BlackBrick, he brought in chefs from Hong Kong (Ivan) and Hunan (Fung), a team that's now been supplemented with Armondo, John, Anderson, JR and Mike. Led by the Filipino/Italian/Irish Hales, it's one of the more unusual brigades you'll find in a Chinese restaurant kitchen, but it works. Though Sakaya probably deserves credit as being the first South Florida restaurant to latch on to the trend. Dongbei is the most northeastern region of China, up above Beijing and toward the Russian border, which used to be known as Manchuria. For further reading: "Northern Comfort Branches Out in Flushing." Yes, similar to the Indian bread called "paratha," from which it is presumably derived. A line, I'll admit, I've used before, but even more apropos for this particular version. For just a small glimpse into the complex issue of "authenticity," sample this New York Times piece on "kung pao" vs. "gong bao," Sichuan vs. Guizhou, and peanuts vs. no peanuts. I mean that both literally – i.e., not having to valet park at the Fontainebleau for $20+, and plod your way through the resort lobby and up an elevator – and price-wise. 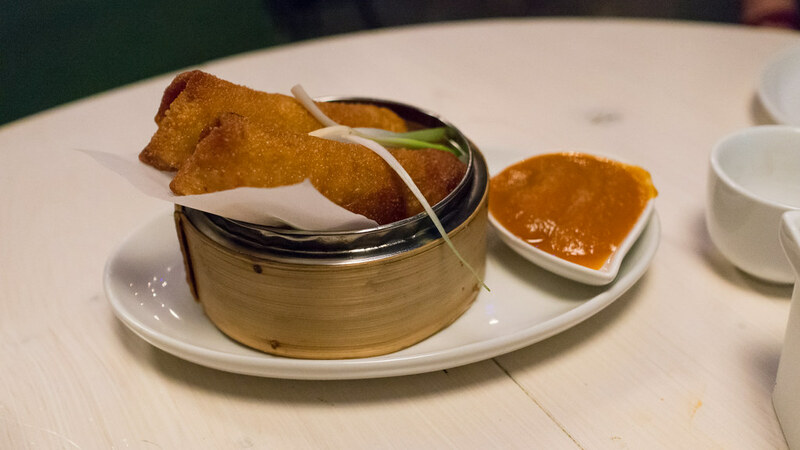 If you can't get in on the weekend, BlackBrick offers a weekday "Dim Sum and Tea Set" with a pre-selected sampling of ten dim sum items for $15. 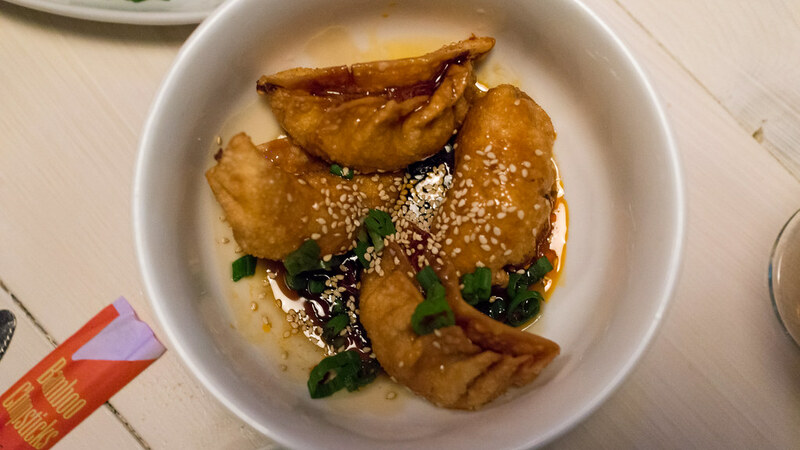 There's also a daily $15 3-course lunch special (egg roll, entrée and ice cream with a big, tasty fortune cookie). "Black Brick" refers both to the interior of the space, which Hales converted from the old Acme Bakery space, and the pressed bricks of tea that served as both consumable and currency in China. Great review. I would like to add wrt to Hakkasan vs Blackbrick. It is more than just a cost and accessibility issue. Hakkasan is great but it is refined. Blackbrick satisfies on an entirely different level almost like you had a great home cooked meal. The best way I can put it is Blackbrick is just good for the soul. Thanks Mr. F for the comprehensive review on Blackbrick. Just an amazing amount of information (one of your tweets you said ...some of my thoughts... some? wow). We appreciate it and happy you are still a fan after all these years. Always a honest great supporter.